Rubb will be attending IDEX 2017 to showcase its latest ‘super structures’ rapid deployment technology. 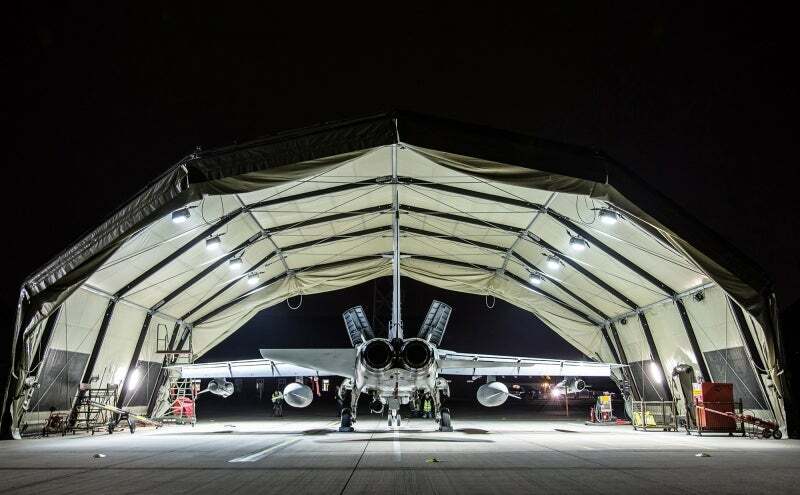 Rubb’s Expeditionary Forces Aircraft Shelter System (EFASS) is designed to be rapidly deployed, providing reliable, durable and field maintainable fabric engineered structures for difficult terrain and harsh climatic conditions. Demountable, relocatable and reusable, EFASS aircraft hangars, sunshades, shelters and warehouses are available in three spans with multiple door options. Rubb Military fabric buildings can be equipped with gantry crane technology. Structures pack into 20ft ISO containers for transport. Rubb managing director Ian Hindmoor said: "We are looking forward to meeting people and organisations who could benefit from the unique capabilities and rapid deployment features of our fabric military structures." Rubb doesn’t just supply new fabric buildings to the military sector. The company prides itself on helping provide a quality, cost effective, long-term investment that can be adapted to suit ever-changing needs. The UK MoD has been using Rubb Military buildings for more than 35 years and has more recently seen the benefits of the company’s EFASS post-use storage, assessment and refurbishment service. IDEX 2017 is one of the world’s largest and most strategically important defence and security exhibitions. Exhibitors and visitors will have the opportunity to meet local and international manufacturers and suppliers of the latest equipment, technology and systems. Guests can also attend the IDEX & NAVDEX Defence Summit during the event. Explore Rubb Military’s range of rapid deployment hangars and shelters at Stand 06-A31.